This Electric Stove provides the ambiance of a Traditional fireplace that is ideal for all spaces large and small. It features a rich gloss bronze finish that will complement any decor. With its fashionable door handle, gracefully swept legs and carved side panels, it brings a smooth comfort to any room. This Dimplex Sheffield Electric Stove provides the ambiance of a Traditional fireplace that is ideal for all spaces large and small. It features a cranberry finish that will complement any decor. With its fashionable door handle, gracefully swept legs and carved side panels, it brings a smooth comfort to any room. 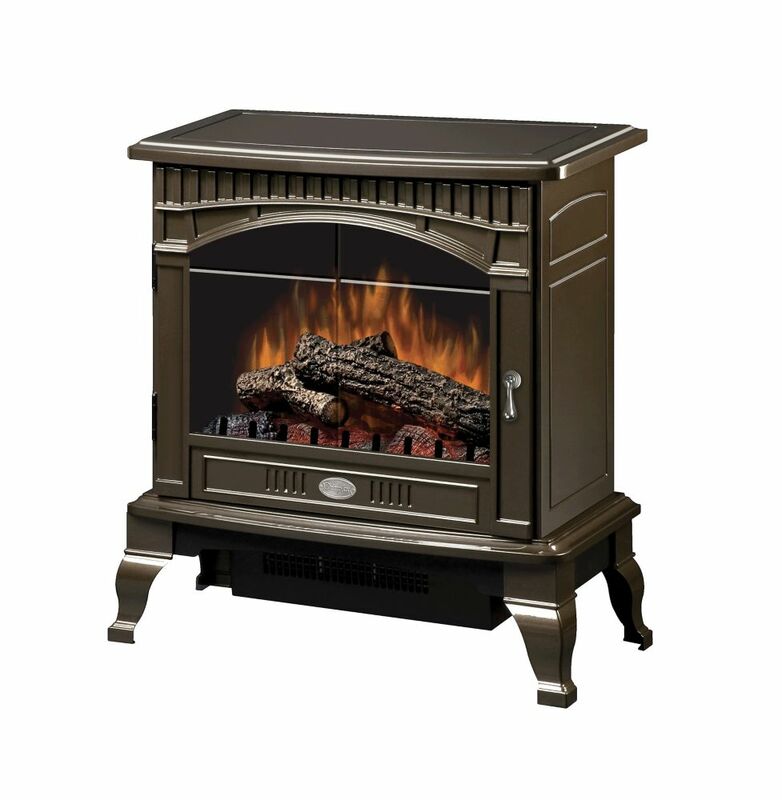 This traditional two door stove brings the classic look of a wood stove while offering the portability and convenience of electric heat for your home. Traditional 400 sq. ft. Electric Stove in Bronze This Electric Stove provides the ambiance of a Traditional fireplace that is ideal for all spaces large and small. It features a rich gloss bronze finish that will complement any decor. With its fashionable door handle, gracefully swept legs and carved side panels, it brings a smooth comfort to any room. Traditional 400 sq. ft. Electric Stove in Bronze is rated 4.6 out of 5 by 75. Rated 2 out of 5 by Mackdaddy from Good appearance, and seems well made. The problem is the heat comes from underneath the unit and... Good appearance, and seems well made. The problem is the heat comes from underneath the unit and has no blower system, so the heat dissipates as it rises from around the unit. Rated 5 out of 5 by Faith from Love, love, love my stove!!! It gives off enough warmth... Love, love, love my stove!!! It gives off enough warmth for my living room and really brings some holiday cheer with all my Christmas decorations. The flame is awesome looking, and I am really pleased with this item. Highly recommend!! Order yours now!! Rated 5 out of 5 by HomeDepotCustomer from Excellent Stove, pleased with its performance.... Excellent Stove, pleased with its performance. How many watts does this stove need? Is it safe for use in a motor home, 200 sq ft.?